US$56 million Term Loan Facility term sheet executed with Tribeca Global Resources Credit Pty Limited. The Term Loan Facility will be used to refinance Paringa's existing US$21.7 million debt facility, fund accelerated expansion of the 3rd mining unit and provide additional working capital. Based on long term committed contract prices and at a steady state production of ~2.8Mtpa, the Poplar Grove Mine is forecast to generate CY2021 and CY2023 EBITDA of ~A$40 million and ~A$50 million, respectively. 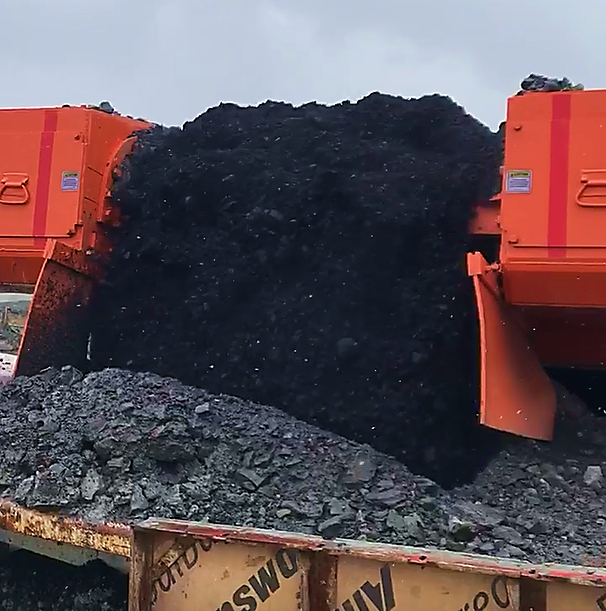 The Company successfully commenced mining at Poplar Grove in Q1 2019 and first coal sales to LG&E are expected to commence during the week beginning 25 March 2019. The 3.8Mtpa Cypress project remains shovel ready. NEW YORK, NY / ACCESSWIRE / March 19, 2019 / Paringa Resources Limited ("Paringa" or "the Company") (NASDAQ: PNRL, ASX: PNL) is pleased to advise that Tribeca Global Resources Credit Pty Limited ("Tribeca") has agreed to provide a Term Loan Facility ("TLF") of US$56 million ("Debt Financing") for the purpose of refinancing existing debt, expansion development of the Poplar Grove Coal Mine ("Poplar Grove") and working capital. The Tribeca Debt Financing is an attractive funding package that provides low overall cost, low shareholder dilution and flexibility in relation to early repayment. Importantly, once the facility is fully drawn Paringa will be funded to immediately begin the expansion of production to 2.8Mtpa at Poplar Grove, previously planned to be funded out of free cash flow. Debt Financing terms have been approved by Tribeca's Investment Committee with funding subject to completion of remaining due diligence, completion of documentation and satisfaction of conditions precedent typical for financings of this nature. Subject to satisfaction of these remaining conditions, Paringa expects to draw upon the TLF by April 30, 2019. The Company's existing lender Macquarie Bank Limited is supportive of the refinancing and has committed to providing the final US$6.7 million tranche under the Macquarie facility to the Company, subject to repayment of the US$6.7 million in full by April 30, 2019. "We are very pleased to have mandated Tribeca to arrange a highly competitive and flexible term loan facility. The debt financing proposal from Tribeca is a great endorsement of the Poplar Grove Coal Mine and significant milestone for Paringa in accelerating production to 2.8Mtpa." Tranche 1: US$40 million to refinance the Macquarie Project Loan Facility and provide working capital available at financial close. Tranche 2: US$16 million to fund capital expansion of the 3rd mining unit at the Poplar Grove Mine, available when certain ramp up tests have been achieved and provided spot coal pricing is above a minimum level, expected to occur in H2 2019. 25 million Paringa options with strike price of A$0.20 cents being a 54% premium to Paringa's share price (last close March 15, 2019). No requirement to raise further financing, including debt or equity. Tribeca Investment Partners is a leading boutique fund manager headquartered in Sydney with offices in Asia and Europe. It manages a suite of traditional and alternative investment strategies, including the Tribeca Global Natural Resources Credit fund which is focused on providing growth capital to the mining, energy and soft commodities sectors. Argonaut is Paringa's financial advisor in relation to the Debt Financing. Underground mining and bottom development continue by both Paringa and the mining contractor. This slope and bottom development contractor has substantially completed the scope of its project and has begun demobilising from the site while punch-list work is completed. Connection was made to the return air shaft on March 5, with connection to the intake air shaft scheduled for the week of March 18. Paringa is currently operating its continuous miner in the coal seam, mining from the base of the return shaft to the base of the intake shaft, producing raw coal for processing and sale to LG&E. The Company will establish the permanent ventilation system once the connection between the two shafts has been made and the main mine fan is commissioned. Once the permanent ventilation system has been established, the Company will commence a typical underground room and pillar mining sequence. All other underground infrastructure necessary to operate the first mining unit will be commissioned in the coming weeks. Bottom area conditions remain favourable and mining has progressed below an area of hard rock initially encountered at the slope bottom. Mining production is now ramping in line with anticipated advance rates. Mine productivity will increase over the next six months as more physical space is developed and additional production equipment is added. The CHPP is processing raw material from the mine, with feed comprised of raw coal and waste rock material. As anticipated, the proportion of raw coal in the plant feed is increasing as mining activities continue using the company operated continuous miner in the coal seam. Raw coal stockpile development continues, and the build of initial product stockpiles has commenced. 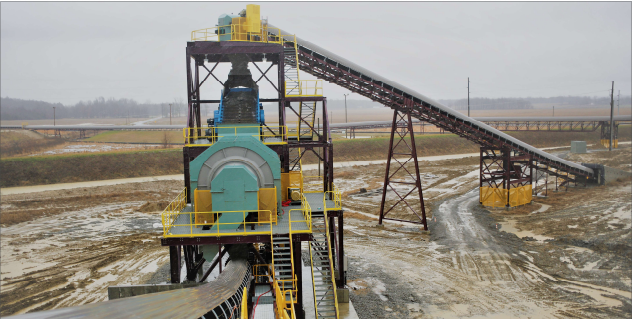 The Company is on target to deliver first processed coal to cornerstone customer LG&E in the week of 25 March 2019, with sales to other customers AEP and Big Rivers to commence in the coming months. This report may include forward-looking statements. These forward-looking statements are based on Paringa's expectations and beliefs concerning future events. Forward looking statements are necessarily subject to risks, uncertainties and other factors, many of which are outside the control of Paringa, which could cause actual results to differ materially from such statements. Paringa makes no undertaking to subsequently update or revise the forward-looking statements made in this announcement, to reflect the circumstances or events after the date of that announcement. The information in this report that relates to Exploration Results, Coal Resources, Coal Reserves, Mining, Coal Preparation, Infrastructure, Production Targets and Cost Estimation was extracted from Paringa's ASX announcements dated May 17, 2018 entitled ‘Equity Raising Investor Presentation', March 28, 2017 entitled 'Expanded BFS Results Confirms Development Pathway to A$850 million NPV' and December 2, 2015 entitled 'BFS Confirms Buck Creek will be a Low Capex, High Margin Coal Mine' which are available to view on the Company's website at www.paringaresources.com. Paringa confirms that: a) it is not aware of any new information or data that materially affects the information included in the original ASX announcements; b) all material assumptions and technical parameters underpinning the Coal Resource, Coal Reserve, Production Target, and related forecast financial information derived from the Production Target included in the original ASX announcements continue to apply and have not materially changed; and c) the form and context in which the relevant Competent Persons' findings are presented in this announcement have not been materially modified from the original ASX announcements.